The Nature House Spare-O-Door temporarily replaces any door in your martin house and turns that compartment into a sparrow trap. This trap uses no bait, just a sparrow's instinctual search for nesting cavities. Simply remove a door on your Nature House Purple Martin House and replace it with the Spare-O-Door. An orange gate drops in front of the entrance hole when the trap is occupied. 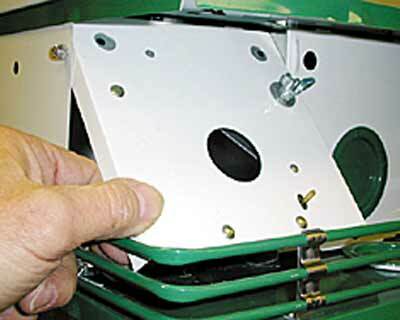 Use the included sparrow removal device to evacuate the sparrow from the cavity without opening the compartment. This door is compatible with Nature House Purple Martin Houses and helps prevent hostile take overs while your martins are gone south for the winter. Note: Please check your traps often. This is meant to be a live, humane trap.